Do you need new headshots and don’t know where to begin? Georgia Film Site reached out to Julie Jones Ivey, photographer and owner of Julie Jones Ivey Photography, who shared some insights about headshots in the film industry. 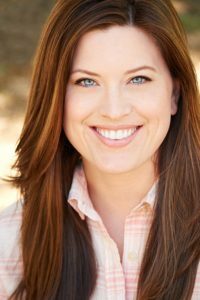 Georgia Film Site: How important is a good headshot? Julie Jones Ivey: Actors must have good headshots because they are required for audition submissions and most in-person auditions. A successful headshot showcases an actor’s personality, range, essence, and type. GFS: Why should an actor hire a professional headshot photographer (vs using a friend)? JJI: A professional headshot photographer keeps up with industry trends. A professional knows how to frame the shot and how to get a real emotion and expression from the actor. A pro will usually chat ahead of time with the client to get a feel for the person’s personality and the goals for the session. The day of the shoot, the photographer will usually evaluate the actor’s clothes selections to choose the looks that will work best for the session. Friends don’t usually have the same attention to detail as a professional who would look out for stray hairs, catchlights in the eyes, helpful posing, etc. during the session. GFS: What is a casting director looking for in a headshot? JJI: A casting director wants the actor to look like his or her headshot. Honestly, that is most important. If a busy CD brings in an actor or requests a self-tape and the actor looks different, it wastes casting’s time and the actor might not get called into that office again. GFS: How often should an actor get new headshots? JJI: Some actors get new headshots every six months and others get them every year or so. Sometimes, an agent will dictate when an actor should get new headshots. Regardless, an actor should get new photos when he or she has a physical change; such as a new hair color, a haircut, piercings, tattoos, weight gain/loss. Also, actors could get new headshots if they have grown as a person or if he or she has evolved into a different type. If this is the case, those actors will bring a new energy or life experience to the shoot. GFS: How do actors find the right photographer? JJI: Do the research. Ask trusted friends, colleagues, or teachers about the going rates for headshots in the region. Ask them about a prospective photographer. An actor can find headshot photographers on social media, printing lab websites, etc. Check out the photographer’s gallery. Does it look current? Does it look like headshots on an agency’s website or on IMDB? Also, if an actor chats with their prospective photographer, he or she should get a feel for the photographer to make sure they would be able to work well together. It’s the worst when an actor feels unsupported or hurried by the photographer. GFS: What questions should actors ask a headshot photographer? How many images of those shots will I ultimately receive for consideration? Is retouching included in the rate? If not, what are the rates for retouching? How will these proofs be received (email, CD, flash drive, prints)? How long after the shoot will these proofs be ready for viewing? Do you shoot in a studio or outdoors? How many looks does a session include? Is hair and makeup included in the headshot rate? Do you work regularly with a hair and makeup artist? If not, could you recommend a makeup artist? GFS: Where should actors go to get their headshots printed? JJI: An actor should use a professional lab to print his or her headshots. In Atlanta, most actors use Prima or The Pixel Pusher. Also, Reproductions is a great lab as well. Julie Jones Ivey is a photographer, actor and model based in the Atlanta area. She studied Photography at Mercer University as well as the University of Reading, UK. Also, she completed the two year conservatory program at the Atlantic Theater Company in New York City and studied at The Company Acting Studio in Atlanta. Georgia Film Site is a resource for anyone who wants to get involved in the Georgia film industry with access to networking, training and jobs for TV and movie productions. Subscribe to our Events Newsletter to stay informed about upcoming events in the Georgia Film Industry.